If you have read the things I posted here before, you're probably going "OMG Trish, that's why you so fat!" right now, or if you googled (yes, that's considered a verb now!) "Cupcake Lab" and somehow ended here, I can provide you some useful information. Okay. First things first. 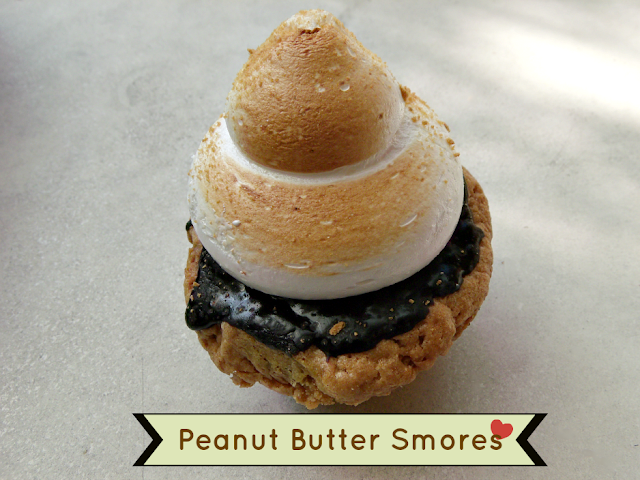 Since this post's been put up today (DUH), February is not No Blogging about Food Month. (click here if you have no clue what I'm jabbering about.) Just so we're clear. Heheh. Another cupcake shop. Yes. I don't know why lately I've been obsessing about trying every cupcake shop in town, and knowing which one is the best has been like my mission in life. I just can't resist sweets. I can't. And thought of trying out a new shop excites me. A week ago, a friend and I headed to Podium after work to try what Cupcake Lab has to offer. The name has a scientific ring to it which made me more curious. The cupcakes just looked gorgeous. Yep, not cute but gorgeous. 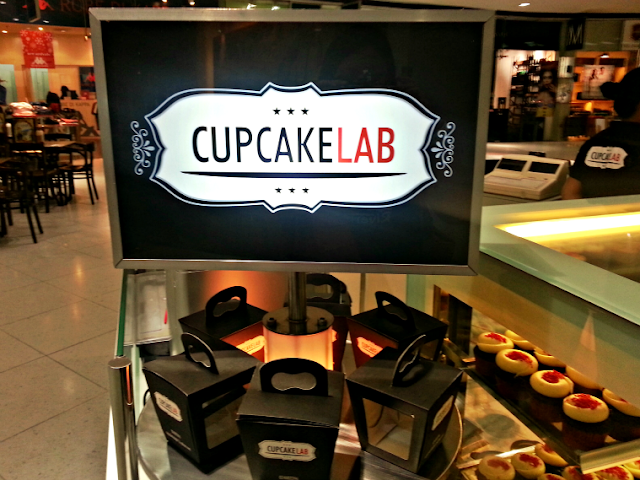 Not your usual cute-as-a-button cupcake shop right here. I was asking before why cupcake shops were all in pastel colors with cutesy little things and dainty appearances. This was definitely different. I was pleasantly surprised with all the red and the black. We were bombarding CL crew Ate Judy with questions and she gladly answered every query. 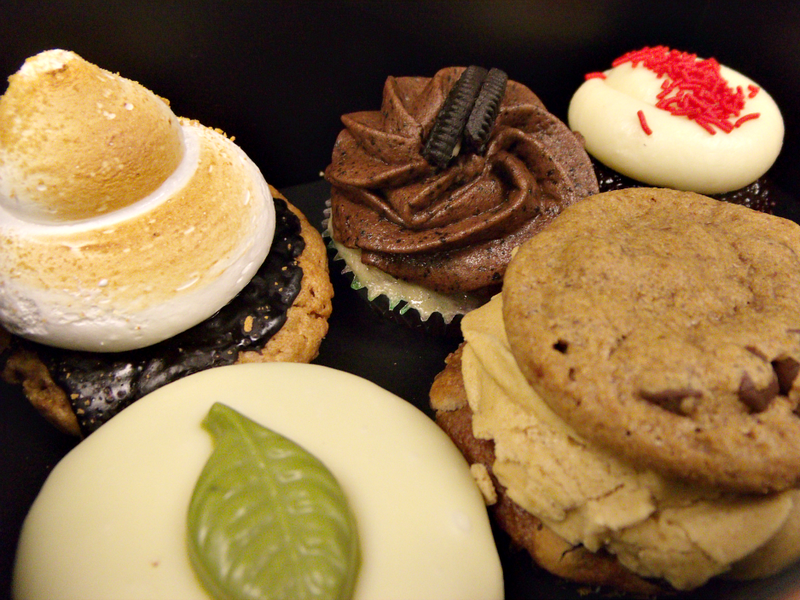 We were able to try some flavors first because they had those mini cupcakes (no, not for free! lol). 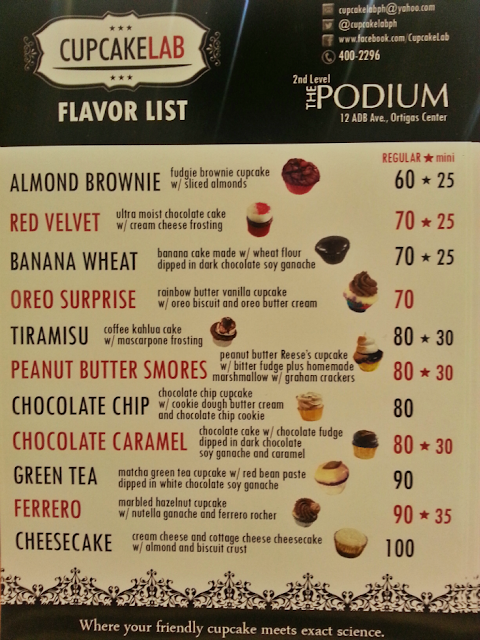 I was just a tad disappointed that the flavors I wanted, Tiramisu (huhu) and Ferrero (double huhu), were not available. But still, I bought a box of 6, there were many flavors to try! The first one I ate was the Cheesecake but I was so disappointed. Priced at PhP 100, it costs even more than the other flavors but I didn't like it at all. It's too pricey and not a bit delicious, no saving grace whatsoever. That's all I can say about that. One down, 5 more to go! Ultra moist chocolate cake with cream cheese frosting. 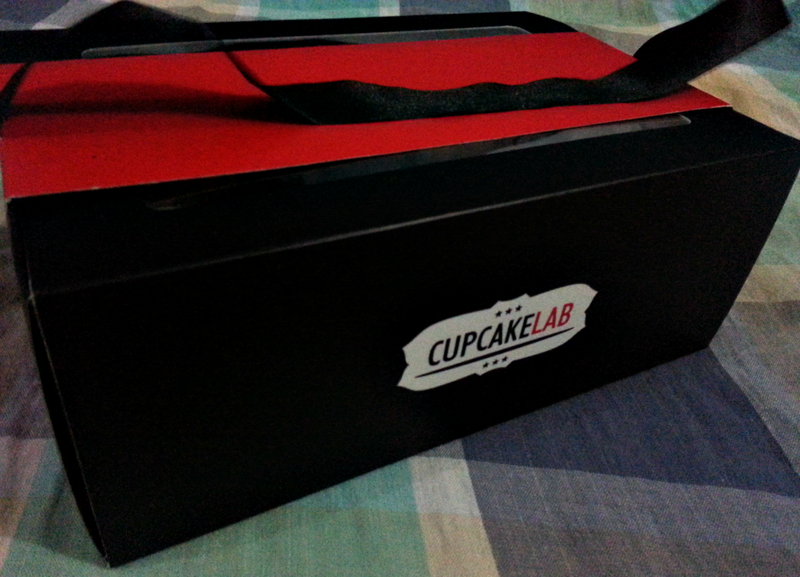 Cupcake Lab no doubt bags the award for moistest cupcake ever. I had to keep the cupcakes refrigerated for another night because I wanted to bring it home to my folks. I thought it would turn crumbly and dry, but they were not kidding when they described this as "ultra moist." 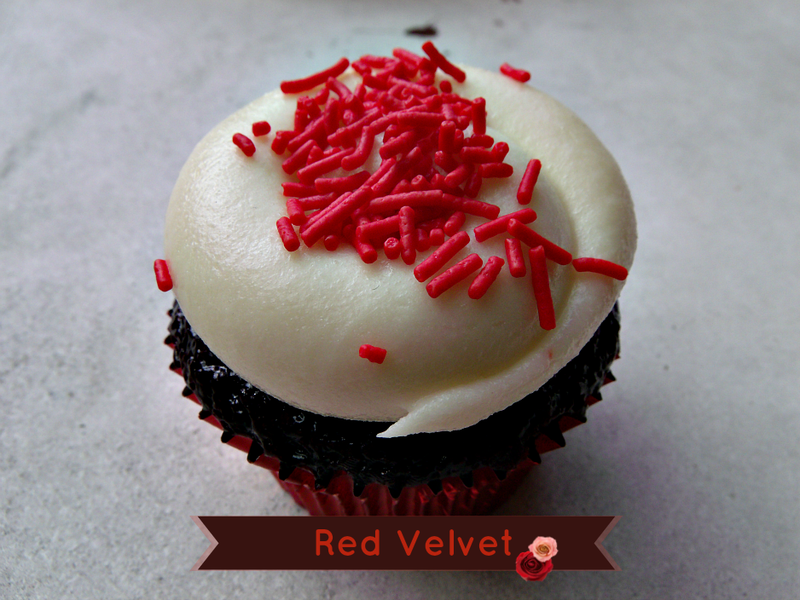 For the frosting, it completely reminded me of House of Silvanas' Red Velvet but Cupcake Lab had a teeny bit more cheese cream taste to it but still on the sweet side. Rainbow butter vanilla cupcake with Oreo biscuit and Oreo butter cream. 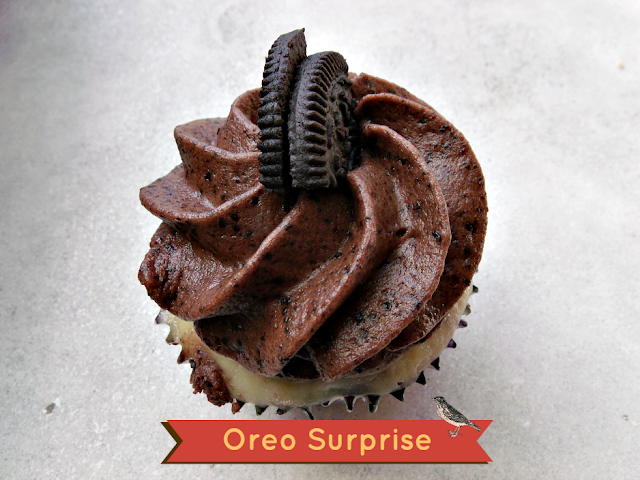 The surprise in Oreo Surprise! People always ask me the question, "What do rainbow cakes taste like?" I've tried another rainbow cupcake before and it tasted plain, like those chiffon cakes without the sweet cream in the middle. Something like that. 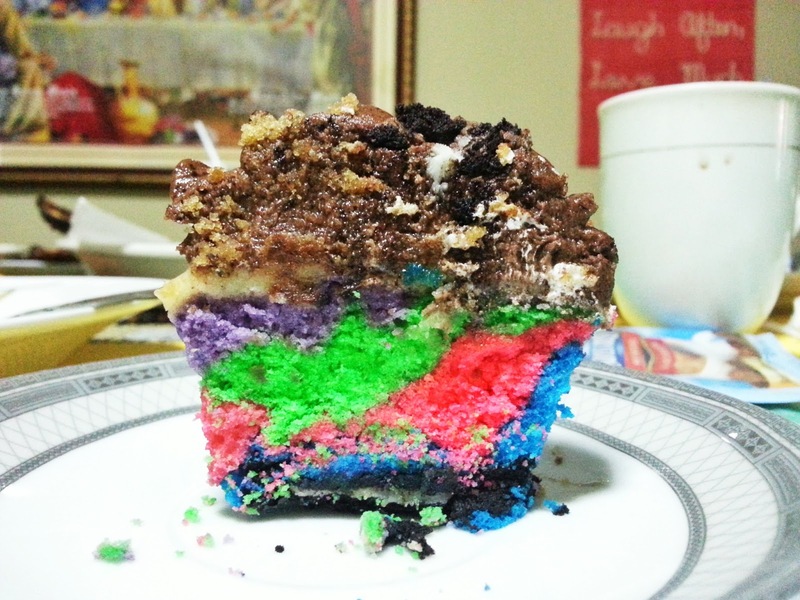 It's a good thing CL partnered their rainbow cake with Oreo butter cream. This is actually pretty good. The Oreo biscuit at the bottom also gave this a bit more texture as you have a little crunch with every bite. Peanut butter Reese's cupcake with bitter fudge plus homemade marshmallows with graham crackers. YOU HAVE TO TRY THIS. First, Reese's peanut butter. Second, this is the best thing ever! Perfect on every level. Third, the marshmallow frosting was smooth and rich and lovely. The fudge was a perfect complement to the sweetness and nutty flavor of the cupcake. Lastly, perfect cake, again. TRY IT. 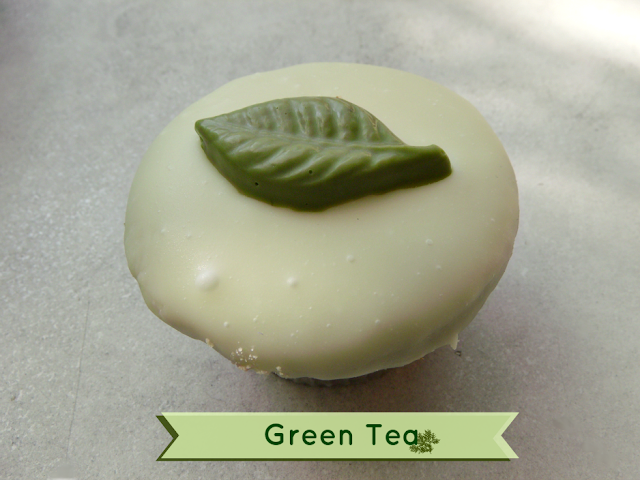 Matcha green tea cupcake with red bean paste dipped in white chocolate soy ganache. I can't give a review (lol) because my father ate this one. I'm a sucker for white chocolate (which is not really chocolate according to some) and I think this looks and tastes great. I asked him about it, he told me it was a quite sweet for his taste but he still liked it. 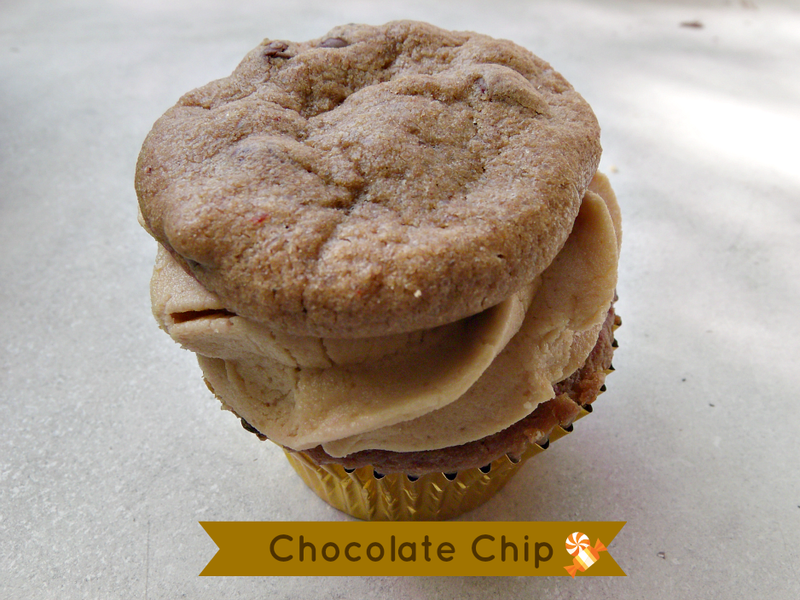 Chocolate chip cupcake with cookie dough butter cream and chocolate chip cookie. Out of the bunch, this was the sweetest one for me. 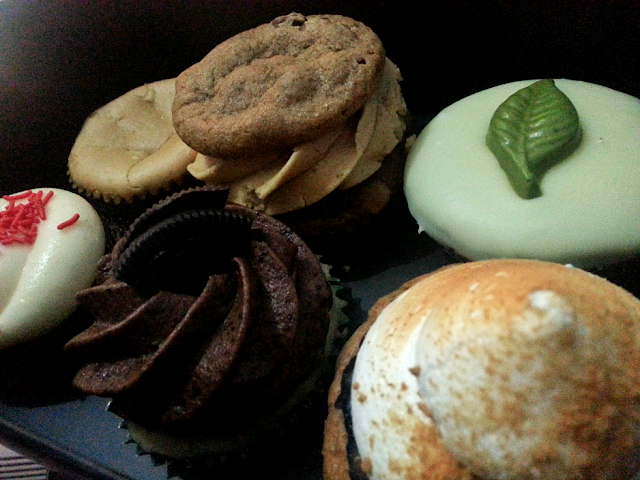 It's the kind of sweet that I felt I cannot finish the cupcake in one sitting. I admit I was surprised that the cookie on top was still chewy after all that time. I bet this would be perfect with a tall glass of milk. Hmm. Should've thought of that before!